Is your roof in bad shape? Do you want to change the look of your home’s roof? Whatever your roofing needs are, Dominion Roofing Co. can help. Whether your existing roof is old and in a state of disrepair or you want to upgrade to a beautiful slate or cedar shake roof, we have the products and expertise necessary to make your roof replacement project a success. I would like to this opportunity to thank you for my beautiful roof! The work and labor to accomplish this roof was superior. I Love My New Roof! And the price was great! With more than 25 years of experience providing roof replacement in Maryland, Dominion Roofing Co. has established itself as one of the most trusted roofing companies in the Washington, DC metro area. It’s not always necessary to get a new roof. You may be able to opt for replacement of the surface materials, such as missing shingles, or flashing. 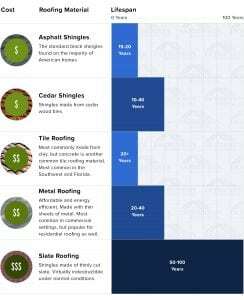 Make an informed decision by reviewing our Roof Replacement Cost Guide, and rest assured that Dominion Roofing Co will keep you informed throughout our inspection, and advise you of the work we feel, in our professional opinion, you need. 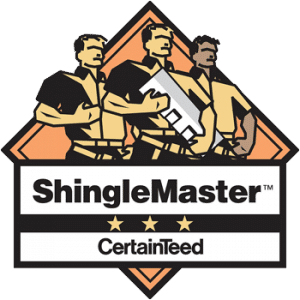 Asphalt Shingles – Asphalt roofing offers many benefits and is one of the least expensive roofing materials on the market. Slate Roofing – Slate roofing is a popular choice in the Washington, DC area, especially in the historic districts of many of the most desirable neighborhoods of Washington, DC, Maryland, and Northern Virginia—and for good reason. Slate roofing provides decades of virtually maintenance-free roofing, superior aesthetics, and increased home value. Tile Roofing – Tile provides an aesthetic appeal that is difficult to match. It is extremely durable and comes in a variety of styles and colors. Metal Roofing – Standing seam metal roofs have become enormously popular due to their affordable price and energy efficiency. Cedar Roofing – Cedar shake roofing offers a unique and beautiful aesthetic and is popular where historical preservation is a priority. Flat Roofs – We have a solution for your low slope or flat roof applications including sun rooms, garages, and porches. Our TPO roofing is ideal for flat roof applications and provides exceptional durability and energy efficiency. Why Choose Dominion Roofing Co. For Roof Replacement? Minimal Disruption – Replacing your roof is a significant undertaking that can cause disruptions to your day-to-day life if not planned properly. We take all steps necessary to ensure that your project is completed not only quickly, but correctly, so your life is returned to normal as soon as possible. Premium Selection – We carry a number of roofing systems from industry leading manufacturers. Our knowledgeable roofers will provide you with an extensive selection and help you make the choice that best fits your project. Customer Service – In more than 25 years of business in Maryland and Northern Virginia, we have never had any complaints filed against us across all agencies and bureaus. When you choose Dominion Roofing Co., you are choosing a roof replacement company you can trust. To request an estimate or to learn more information about your home’s roof, call us or contact us today. We have been providing roof replacement services in the MD and DC area for over 25 years and our expert staff can help you with all your residential roof replacement projects! Check out the resources below to learn more about when you should have roof replacement, best roofing materials, and more!